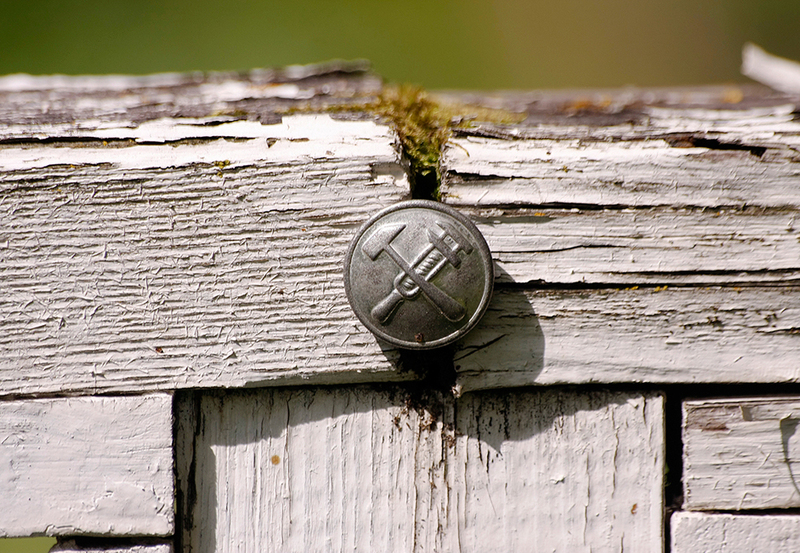 A button from an old engineer’s uniform dating from the time of the 1917 Revolution. It found its way between these two wooden rails, giving life to this new moss and concluding the parade. "In this photo project, I tried to combine not clothes, but buttons with various objects. After digging around a little in my grandmother's jewelry box, I found buttons from different periods in time"